As Creative Specialists, our capabilities include private label amenity programs, brand creation, custom bottle and cap design, fragrance creation, package design, gift sets, retail kits, custom guest conveniences and much more. Our talented and experienced design team creates programs to reflect the ambience of your property while meeting your fragrance, formulation, and packaging specifications. 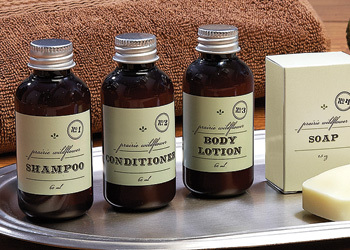 Through our private label option we can create a personalized design to reinforce the strength of your brand and leave your guests with a lasting impression of their stay. Through our brand creation option we offer a comprehensive design service dedicated to creaing a distinctive brand exclusively for your one-of-a-kind property. Our talented and experienced in-house design team is ready to create and guide your project from preliminary concept to delivery. Exclusive, individualized and original, customized amenities are tailor-made to reflect your specific style and ambience as well as help to create a long-lasting guest experience. With this gathered in-depth information, our design team selects appropriate bottles, soaps and packaging that best match your preferences and requirements. Projects that budget for or require a proprietary bottle and soap molds allow us to imagine, design and create unique one-of-a-kind pieces for your guests. 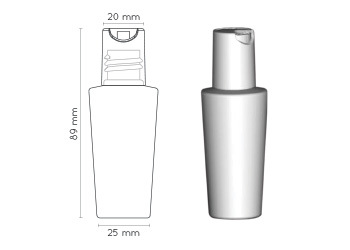 User-friendliness, Material, Printable Area and Cap all come together to create a propritary bottle mold. 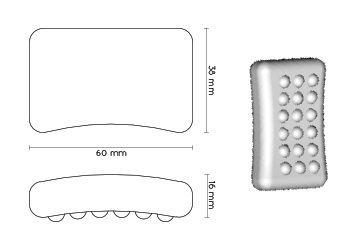 Ergonomics, Usability, and Size are all considered when creating a custom soap mold. 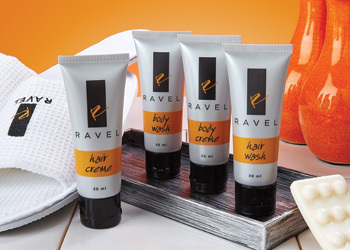 “A leading supplier in the personal care industry since 1972!" Please enter your info below to receive new product updates and specials.